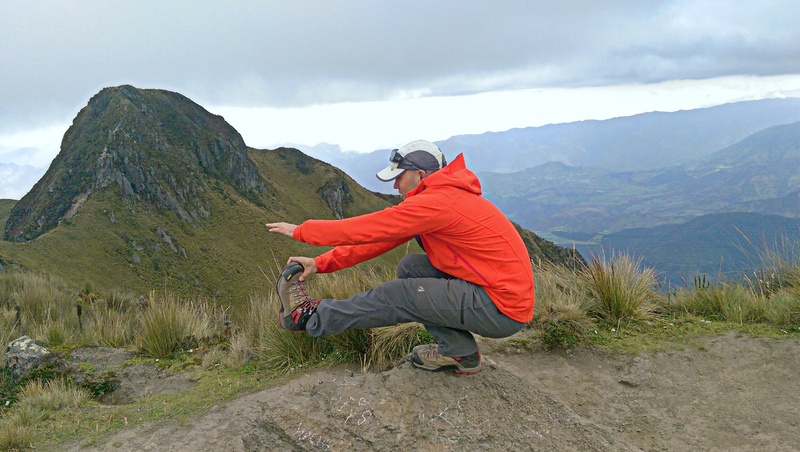 Coach Travis getting a pistol after hiking to the top of Cerro Fuya Fuya in Ecuador. Elevation 13,986 ft.
A. 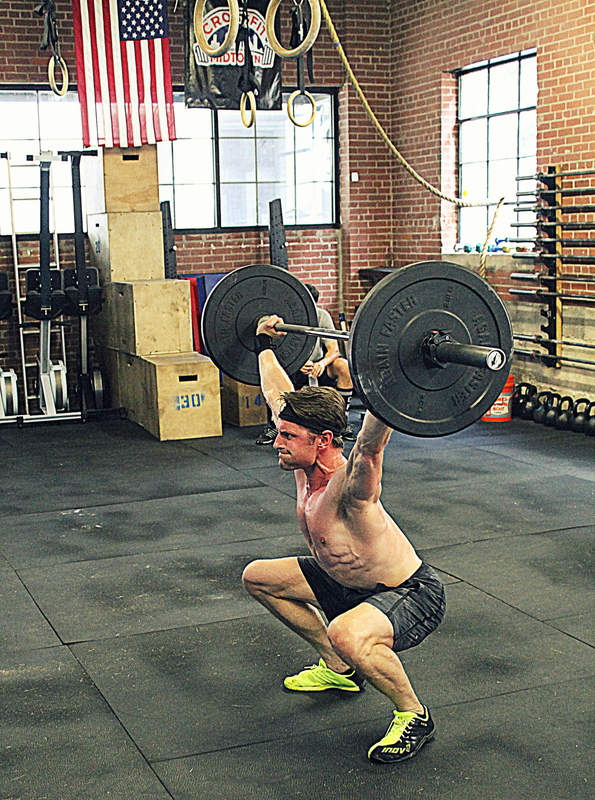 Power Cleans: Every minute on the minute 1 Power Clean (80% of 1 RM) for 8 minutes. [20 minute time cap]. May be completed in any order and partition the reps any way. All athletes may be working at the same time. 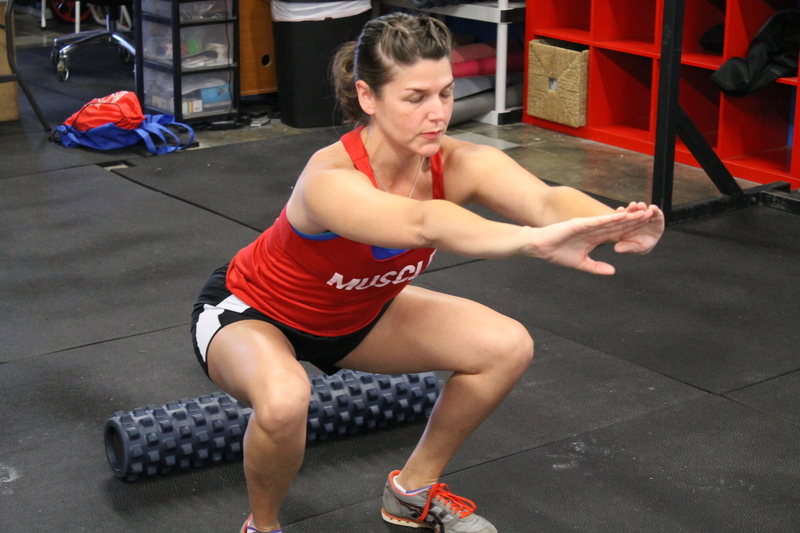 Each member of the team must complete a minimum of 10 reps of each movement. **For Deadlift male teams 315, mixed teams 275, and female teams 225. Thursday 7/2: 6,7am classes,8am open gym, 12pm, 5,6pm classes. Friday 7/3: Closed for Observance of Independence Day. Saturday 7/4: 10am class only. Captain America WOD. Sunday 7/5:10am class, 11am open gym. Squat Meditation. Darcy practicing squats with eyes closed focusing on gripping the floor and lowering slowly into the bottom position. Sign up for Tuesday Yoga next week on 7/7 today while spots are open! Click here! Superman flies with his feet together. Core warm-up for Handstand Hold practice. Post load and max reps for final set of Bench. Post total time from WOD. Ex: 275# 8 reps, 7:15 Rx. We have our 3rd guest Yoga Instructor this Saturday 6/27 at 12 PM as we continue our summer yoga series at CrossFit Midtown. For Annie Harbison yoga is a chance to discover, a time to receive, and a place to heal. It brings her to a state of wholeness and balance when She's had a wreck of a day, and it allows her to express pure joy when everything is aligning just right in a stretch or pose. In Teaching, she'd liked for Yoga to remind us to stop controlling and to start letting go and immerse ourselves in the flow of things. 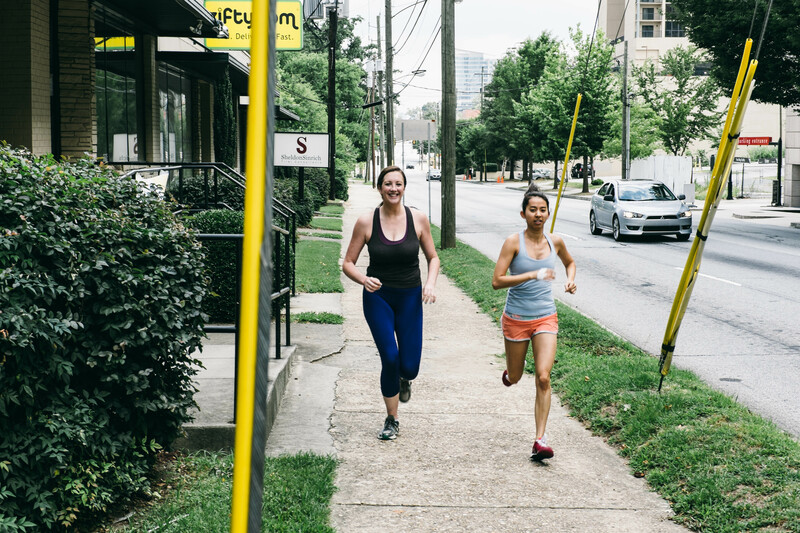 Join us on Saturday at 12pm for a special yoga class for CrossFitters lead by Annie Harbison! Click here to reserve your spot online. 20m Sled Pull (90/45) + 20m Run. Fine. Part 2: Score is time to complete WOD. If time capped, score is 12 minutes + 1 sec/rep remaining. 20m Sled Pull = 20 reps, 20m run = 20 reps.
Ex (time capped): Finished 15 Bear Crawl Circles = 45 reps left (12:45). *2 seconds up. 2 second hold. 2 second negative. 0 seconds at the bottom (touch-and-go). 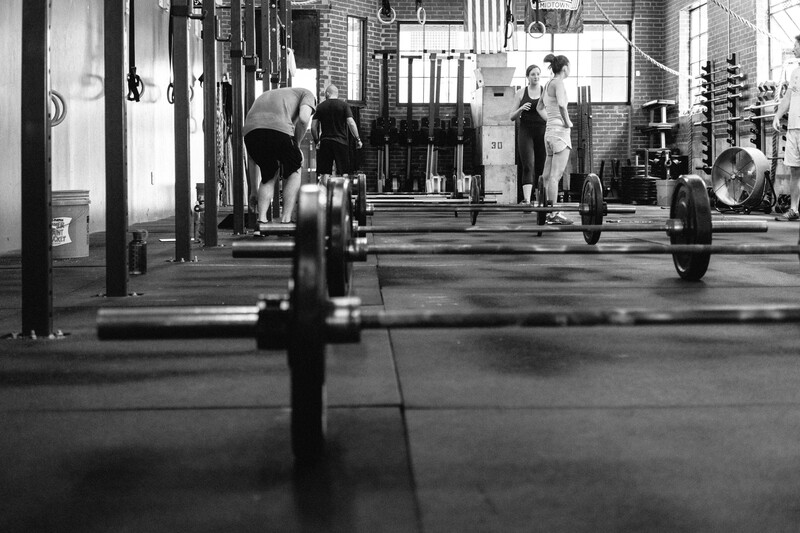 To start each round of the partner WOD each partner does a 250m Row and a 200m run. While one is rowing the other runs and then they switch. Only when both are finished both row and run, one partner starts on the first triplet while one rest. 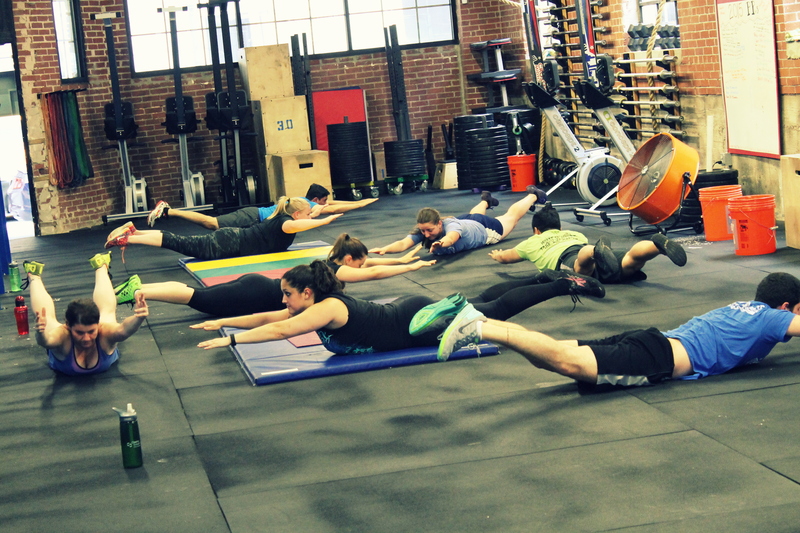 They alternate and then start the 12 Tandem Burpees (doing a double high five each rep). Stage is set: Train the major lift Clean & Jerk, sprint hard and fast. 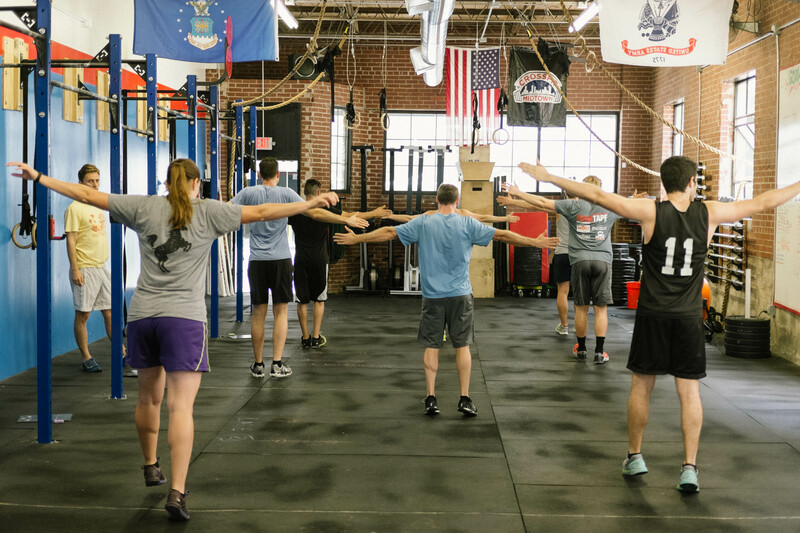 "Cutoff" WOD Saturday 6/20. Sign up for Tuesday Yoga next week on 6/30 today while spots are open! Click here! A. Weighted Ring Dips: 5 sets of 5 reps. Rest 2 minutes between sets. Max reps in final set.